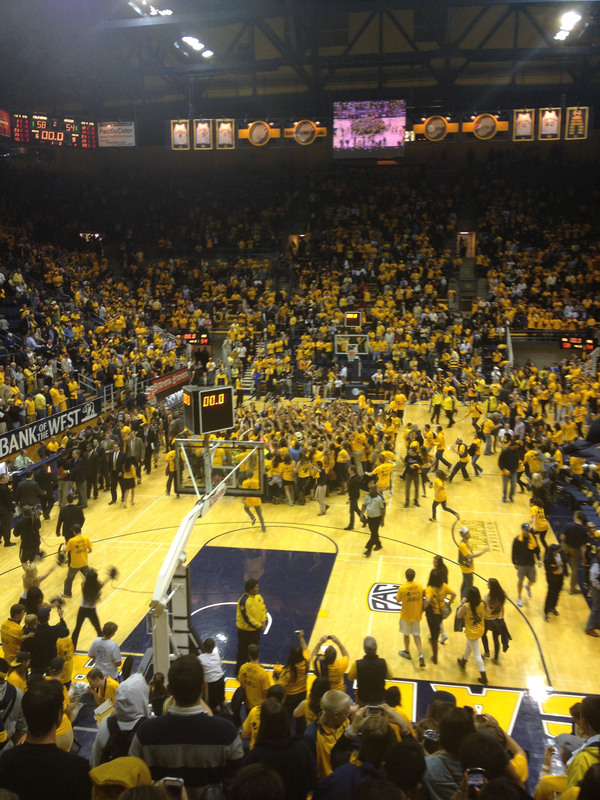 The best and worst thing about Cal athletics is its inconsistency. We all know that we don’t spend the most money on sports compared to other universities — or even close to the most. A decent intercollegiate athletic department like that of Oregon’s has an annual revenue around $88 million, with over a third coming from gifts and donations. Cal Athletics’ revenue for 2011 was $65.2 million, with 24% coming from gifts and donations. Note that these are both public schools who don’t get giant endowments from the school. They have to do the best they can with what they have. Now the point is that it’s not about the money. Yes, it’s true that more money does buy better equipment and a better coaching staff. It does buy better scouting and ultimately attracts better players. All these factors do lead to better team standings and ultimately greater dedication from the fans. Except at Cal. The beauty of Cal athletics is that it doesn’t have any of those things. We don’t need money to buy our fan’s loyalty. Our modest athletic budget results in teams that, except for rugby, can’t often do well in their sports. And that’s okay. Cal fans are resolute in their love of the school and our athletes. We don’t need an impressive record to start frothing at the mouth while cheering. It’s only at Cal where the players can take loss after loss and show up to a game against a top opponent and believe they can win. Once, just once in a long while, we get that win. And it’s enough. Saturday, against No. 10 Oregon, was one of those wins. And it is sweet to know that our team can enter a game with a 12-8 record against a team that is dominating 18-3 and still give it their all until the last second. 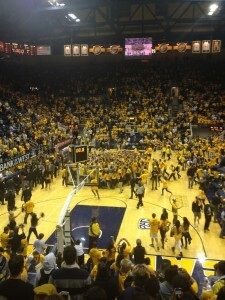 When our fans rushed out onto the court at the end of the game, it was clear that Cal was proud of the basketball team. Quite frankly, Oregon’s basketball players have greater athleticism and stats than our own basketball team. But that’s the thing about sports in general, and Cal athletics in particular — the numbers don’t quite give the whole picture. Our athletes and fans do not give up. It’s the same reason Cal can lose to Nevada in football, but then goes on to beat UCLA. Unpredictability makes each game more interesting and each win more satisfying. It’s the rare moments when we pull off an upset and everyone storms the court or field that makes each loss easier to swallow. And in those moments, all the loyalty and dedication of our fans pays off in a far greater way than if we were rooting for a team that is known to always win. The inconsistency only applies to how our teams perform, because our fans are consistently and passionately in love with the Bears.